2-4 or 4-8 Time? Does it Matter? The question of 2-4 or 4-8 Time has been asked many times on our UMT Facebook group. Facebook is a great way for Teachers to support Teachers - academically (with ideas), personally (with shared "been there, done that, own the t-shirt" validation) and socially (hey, who else but a teacher "gets it"!). One subject that has been discussed a lot in the Ultimate Music Theory Facebook Group is: "When adding a Time Signature, how can you tell if it is 2-4 or 4-8 Time"? If all Composers were consistent (or nice, or understood how frustrating it is for Teachers to guess), then it would be obvious. 2-4 Time would show a consistent Quarter Note Basic Beat. 4-8 Time would show a consistent (and separate!) Eighth Note Basic Beat. What is the Time Signature of the following Melodic Excerpt? Is Example #1 in 2-4 or 4-8 Time? If you answered Example #1 as 2/4 Time, it would be incorrect. Did you notice that there is an anacrusis and the final measure of this excerpt is complete? A double bar line that is 2 thin bar lines indicates the end of a section, but not necessarily the end of the music. So it is "okay" for this excerpt to end without completing the anacrusis measure because it is only an excerpt (the actual music would end with the missing beats to complete the anacrusis). But What Happens When the Basic Beat Isn't Obvious? However, music is not always about the Basic Beat - it is also about the phrasing, the push and pull of the melodic line - and how notes are grouped to represent that flow. However, if we look at this with an eighth note pulse, it still "works". Therefore, for Example #2, an answer of 2/4 Time or 4/8 Time would be acceptable. What Happens when Phrasing is Added and Beams are Grouped Differently? This phrasing has not only affected the "feel" of the music, it has affected the beaming of the eighth notes. So, how would you feel this music? Is it in 2/4 or 4/8 Time? My first choice with Example #3 would be 4/8 Time. Why? Let's add Scoops, Basic Beats and Pulses. The eighth notes and pulses work well in 4/8 Time. It isn't perfect, but the pull of the musical phrase does meet the requirements of 4 eighth note Basic Beats. My second choice would be 2/4 Time. Again, let's add Scoops, Basic Beats and Pulses. Although it isn't perfect either, especially in measures 1 and 2, it does fit the rhythm in measures 3 and 4. The word "semantics" means "the study of meaning by classifying and examining changes in meaning and form". So I guess this comes down to semantics. There are definitely times when an excerpt could be in 2-4 or 4-8 Time. However, there are definitely examples that would be in 4/8 Time but not in 2/4 Time (and visa versa)! On an exam, it is perfectly acceptable for students to write in Scoops, Basic Beats and Pulses in order to double check (or figure out) the answer. You do not need to erase these either. However, if you scoop 4 eighth notes, have 4 eighth note Basic Beats and show a S-w-M-w pulse, your answer had better be 4/8 Time and not 2/4 Time! When preparing for your nationally recognized Theory Examination, such as the Royal Conservatory of Music Examinations, using the Ultimate Music Theory Exam Series will enable your students to be successful! When I wrote the Examinations in this Series, I researched the type of questions used during the past 10 years of Examinations. I have taken every care to ensure that each possible question type that has appeared on an Examination is represented in the Ultimate Music Theory Exam Series! And - BONUS - our Exam Series has matching Answer Books! Remember, if you have a question about a possible alternate answer, please do not hesitate to contact me. We even have a Teacher Exam and Answer Book Package - sell the Exam Books to your students and keep the Answer Books for yourself. Or, even better, complete the Exam Books yourself and mark your answers using your Exam Books. That way you will see how easy it is to score 100%. 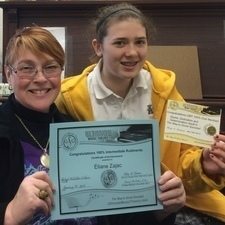 My student Eliane used the Ultimate Music Theory Exam Series on her Royal Conservatory of Music Intermediate Theory Exam and scored 100%! She is now a member of the 100% Club and received a 100% Club Certificate and her UMT Gold Pin! 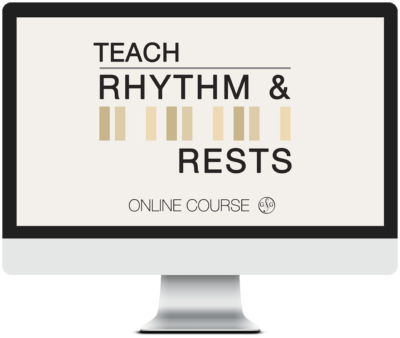 To register your students when they get 100% on their Examination, simply fill in the form in the Ultimate Music Theory 100% Club tab under Free Resources!